Why is writing therapeutic at times? I think it is because you are either writing something out of your system or because you are writing something different to whatever situation you are in and it acts as a distraction. Both are worthy reasons to write. I’ve never set out to specifically write with therapy in mind. I write to, hopefully, entertain (the flash fiction and blogs) and maybe share things I’ve found useful on my writing journey (posts like this one, a lot of my Chandler’s Ford Today articles and so on). What I have found is in the difficult periods of life (and this year has been a dreadful one in many ways), writing can be a wonderful outlet because it does take me away from the current situation. Whatever the reason you write though, I think first and foremost you have got to love doing so. Love of story, the written word etc does help keep you going through rejections. I think one of the most difficult things any author has to face is the problem of how do you get people reading who are not already “into” books? How do you get them to see reading as a valid form of entertainment? I learned to read early (thanks, Mum!) and so developed a love of stories and books early. That love, of course, has only grown over the years and my taste in stories and books has also expanded out to include many different genres now. I’ve also developed a real love for well written and entertaining non-fiction. But how do you reach people in the first place? I’m no fan of soap operas on TV or radio but can see how people would get their story fix through them. Likewise, the film and theatre addicts etc. I really don’t “get” reality shows (with the possible exception of the dancing and baking ones, as though I don’t watch, I can see the attraction of learning new skills here). I’m just wondering out loud about those who say they don’t have time to read (and I’ve heard this recently), well do they actually mean that? Or is it a case that they just don’t “get” books? And what can we as writers do about this, if anything? Image Credit: All images, unless otherwise stated, are from Pixabay. I write monthly on the Association of ChristianWriters’ blog More Than Writers. I also give a quick round-up of recent happenings, including good news on the dog ownership front. My latest More than Writers post (Association of Christian Writers blog) is about God’s timing for our lives. This is the only piece to date inspired by the perfect (comedic) timing of Morecambe and Wise! (In particular, their Andre Preview sketch, my favourite comic piece. The Two Ronnies Four Candles comes in at second spot for me). Glad to say the Book Fair in Chandler’s Ford went well. Went to see local theatre group, The Chameleons, perform a murder mystery spoof called Murdered to Death. (Writer: Peter Gordon). Hope to review this in due course but it was very funny. Met our soon-to-be adopted dog, Lady, again today. Lovely dog. This year has been a sad year personally, a great year professionally, but it is nice to have some good news. Hope is to have Lady well settled in long before Christmas. Like my previous dogs, Gracie and Mabel, Lady is a rescue, a down on her luck collie. With love, good exercise, a sense of security, Lady should blossom and thrive as her predecessors did. I’ve found I have to have a routine of some sort to get any writing done. A routine benefits dogs too. It can give a sense of security (really useful especially when you are settling in a rescue dog). What is the best way of handling rejections? I’ve found accepting it is never personal helps a lot. Also, it can be consoling to know that sometimes the work is fine, but there are other reasons for the rejection. For example, the publication has had something similar which it has already accepted, which will inevitably mean yours gets turned down, Nothing to stop you from submitting that piece to another suitable publication though. Another thing that has helped me is knowing now (which I didn’t when starting out) that all writers go through this., It really isn’t just you as the individual writer! But over time, as you learn to improve what you do, the rejections slowly turn into more and more acceptances. I’ve lost count (long ago) of how many pieces I’ve had turned down but some of them I’ve reworked later and then had them published. I nearly always opt for feedback where a competition offers it (unless the fee is prohibitive, though I have only known this happen once or twice as most fees are set at reasonable rates). All feedback I’ve had to date has shown me something useful that, on reading it, I think “why didn’t I think of that before submitting this?” but this is where you do need a second pair of eyes to look at what you’ve written. What is a Good Fairytale? A quick reminder about the Chandler’s Ford Book Fair is my topic for Chandler’s Ford Today this week. Hope to see some of you there. Everyone taking part is hoping this will become a regular event especially since there are no bookshops in Chandler’s Ford now. We’d all be glad to see fellow writers too and can give information about local writing festivals and creative writing classes too – so do come and ask! There will be signings and special offers too. Why are events like this important? Well, they give local writers both a voice and another outlet, which helps us all. Events like this show the community there IS a strong creative writing element within it. (At the earlier Hiltingbury Extravaganza, there had been some surprise expressed at the range of writers and genres respresented there. There will be many more at the Book Fair tomorrow!). We also hope the Fair will promote the love of books and reading in general. Reading your work out loud is useful for helping you to pick up where your sentence construction is perhaps not as smooth and free-flowing as you thought it was (especially for dialogue). It is one of those oddities that something which looks fine written down is not necessarily easy to read out loud. It is also useful for picking up the rhythm within your story and I’ve found it handy for detecting hidden undercurrents of mood in my flash fiction. It is another oddity that the writer doesn’t always pick up on these immediately! (That in turn helps me when I read the finished work out publicly. It helps me “pitch” it correctly). I hope to read a couple of my stories at the Chandler’s Ford Book Fair tomorrow. If anyone has questions about flash fiction, please do come over and have a chat. 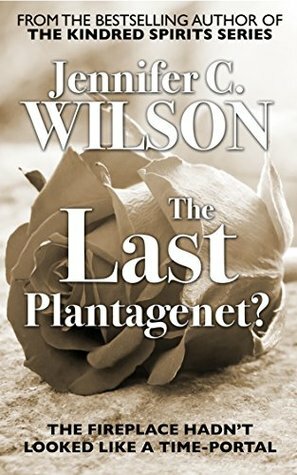 I share here my review of friend and fellow writer, Jennifer C Wilson’s excellent novella, The Last Plantagenet? Novellas aren’t as common as they once were but they work brilliantly for those stories not long enough to make it to full novel status or are far too long for a short story. I’d like to see more of these. The cover of Jennifer’s novella. Image from my review on Goodreads. A good fairytale is not necessarily one with a happy ending but, as with other stories, it should show the lead character changed during the course of the tale. Ideally it will be for the better. They will have learned something from their experiences and so on. Sometimes a character does NOT learn from their experiences (the result is usually disastrous – the lesson there is for us readers. It’s a warning we should learn or risk disaster ourselves). A good fairytale will also show us something of ourselves/our human nature. That doesn’t necessarily mean we will like what we see! The Little Match Girl by Hans Christen Andersen is, to my mind, rightly scathing of those who pitied the girl because she was dead but did nothing to stop her dying, which is the whole message of that story (and the exposure of hypocrisy). A good fairytale will have memorable characters and there is usually a strong moral message with it (though conveyed in the story. A good story, of whatever type, will never leave you feeling as if you’ve been preached at). Fairytales can be considered as “pie in the sky” but the reality is they often convey great truths. Image via Pixabay (and one of the images used for my trailer for From Light to Dark and Back Again). One advantage of flash fiction is it has to be character led. There isn’t the room for lengthy descriptions so your characters “carry” the stories. So you have to create the world your character comes from via them directly. She threw the cup at the wall and watched it smash. Bloody government. I’ve already voted once. Why have I got to do it again? That reveals at once that the government is dictatorial, voting is clearly compulsory, and any world where you have to vote again (to get it right this time perhaps?) is somewhere you probably don’t want to live if you have the choice. She is taking her frustration out on a cup so there is no choice element here (and almost certainly severe consequences if she doesn’t vote again). You can also show something of your created world through what your character observes. In a flash fiction story, this would have to be a line or two at most (though that does make you stick to the really important things you want your reader to know so is no bad thing). Description is the obvious way of showing a world but, again, in flash, a line or two at most and focus on what is important to the character (as this also reveals a lot about them). Great Themes pour out of wonderful books but it needs strong, memorable characters to achieve this. Image via Pixabay. Non-fiction and especially history should not be deadly dull. Image via Pixabay. Good range of topics tonight, I think. Definitely covers the spectrum (well, okay, I left novel writing out but another time perhaps!). What is on your to be read list? I have a mixture of history (fiction and non-fiction), fantasy, crime, P.G.Wodehouse, biographies – and that’s just on my Kindle. Still, it is always good to have plenty of wonderful material to read and I’m in no danger of running out anytime soon. Logically then you might feel the last thing I need is more books. Get out of it. Logic does not come into it when it comes to buying books. A title/story (and I include non-fiction in this) grips you and you want to read it as soon as you can or not as the case may be. Therefore, you have to buy! Looking forward to the Chandler’s Ford Book Fair on Saturday! Looking forward to the Book Fair on Saturday. I buy books as well as write them! Image from Catherine Griffin (Chandler’s Ford Writers’ Hub). Making progress on what I hope will be my second book. I suppose another thing I love about flash fiction is it also easy to write almost anywhere. Naturally, I keep notebooks and pens in my bag but am increasingly using my mobile phone for this kind of thing. I love using Evernote to scribble down ideas and stories when I’m on trains etc. Really useful program and I can share contents to different places so I know I will always have at least one back up. I’m using the free version of Evernote at the moment but like it a lot. Nice to be able to use it to take pictures, which I have done. Have not used the audio function as I prefer to write stories, rather than dictate them. Good to have the option though! And it remains my big hope that flash fiction as a whole will tempt people who are reluctant readers (you’re not asking them to commit to a big read all in one go). Also, I hope it will encourage those who feel they don’t have enough time to read to realise well actually you do. Five minutes here. Five minutes there. And flash fiction is the answer when it comes to providing a quick read! My favourite non-fiction is usually history, based on an era I know reasonably well, but which then goes on to show me aspects I had NOT known. A good example of this is The Maligned King by Annette Carson, who re-assesses Richard III’s reign and uses source materials to do so. It is a fascinating read. I like the whole Wars of the Roses history (though thankful not to have lived through it!) but the story of Richard and the “did he or didn’t he?” motif is a particular favourite. There is so much material here I had not heard of and there has been an update to the book recently given the discovery of the King in the now infamous Leicester car park. I had the original book in hardback, the update gave me the perfect excuse to download it to Kindle! I am, of course, open to reading about other eras I know less about but, given limited reading time, I “target” my reading accordingly. Why is there never enough time to read as much as you’d like? Personal history can often be found in things like old exercise books, which in turn reveal things about political history and how much people knew at the time. Image via Pixabay. One of the great things about writing is it can reflect every mood. Therefore you can pick what you want to read, depending on your own state of mind at the time. I love humorous fiction which probably says quite a bit about me. (I adore other genres too – fantasy, obviously, and crime, and historical to name but a few, but I really love a good a laugh when reading). From a writing viewpoint, you can write yourself out of a mood by writing something opposed to what you are currently feeling. It can be amazingly therapeutic at times. You can also write yourself into a mood so beware! So writing is powerful then? Definitely – and for writer and reader alike. But there is nothing quite like a story (regardless of length or whatever format it is in) to take you, either as writer or reader/listener/watcher, to different places. Yes, music can do it too but how much music is based on stories? All of opera for one thing! So let’s hear it for the humble story and the joys of reading and creative writing. What do I aim for with any of my characters, especially in my flash fiction work where word count is tight? They’ve got to have strong personalities, who know their own mind. They have to have a goal so readers can root for them to succeed or fail, as the case may be. (Not everybody automatically supports the hero. Occasionally if I’ve come across a lacklustre hero, I DO want the villain to win, if they’re better portrayed as they often can be in cases like this). Whether hero or villain, they have got to have sound reasons for their attitudes and behaviour. They should be able to elicit some sympathy from the reader. (The best villains always leave you with a sneaking sorrow they hadn’t won. My favourite example of this by a mile was Alan Rickman as the Sheriff of Nottingham in Robin Hood: Prince of Thieves). Also, especially for the hero, they have got to contribute to the success of their “enterprise”. They should never win by sheer luck or coincidence. Something they did should pave the way for their win. So what do you look for in characters? What, for you, is the most important trait(s)? Comments welcome! What counts as a good writing day? When you’ve got the right amount of words down (whether it’s a few hundred or a few thousand)? When you’ve completed a specific writing task? As ever with these things, so much depends on the writer. For me, either completing a task or getting to the stage I wanted to reach for a longer one is my definition of a good writing day. There is no way I can complete my Chandler’s Ford Today posts in one go for instance so I aim to write the post as one/two tasks, edit it and put it up on site ready to go (but not scheduled yet) as another, and then I sort out the images and feature image as the third part. The final, fourth part, is checking I’m happy with the text, images, links and feature image overall and, if I am, I then schedule the post. So I think I’ve had a good writing day when I can tick off all those specific tasks. Another great joy of writing flash fiction is I can count writing the first draft as one task because I CAN complete that in one go! There is a huge advantage in writing 100-word stories as opposed to 100,000-word novels (though I love both!). What is the best thing about writing a story of any length – flash, short or novel (and script come to that too)? For me, it’s that moment when I realise I’ve “got something here”. I usually find I’m about halfway through my draft when I get to that point. The great thing is it really motivates you to finish the piece! And what is it more than anything else that leads to me realising this? It is the characterisation. Something about one or more of the characters in the piece has gripped me and, if they grip me, there’s a good chance they’ll grip other readers. It is at this point I have to resist the temptation to start editing and make myself wait until I have got the complete first draft down. Editing too early can kill off the joy of creating the characters in the first place so, for me, writing and editing have to be treated as two separate tasks. What are the challenges of writing flash fiction? Obviously, there is the tight word count but I think the toughest thing is working out what is the real essence of your story so you know when to stop. The other big challenge is to ensure the flash story is a complete tale in and of itself. It mustn’t be just a short bit of prose. Each flash story must have an impact on your reader (which, to my mind, can only happen if it has a “proper” conclusion!). If a short story is like a snapshot of a character’s life, then a flash tale is like a tweet. Brief, to the point and then all over. But it should leave you feeling something. There should be a moment of change in the character’s life. It is just a shorter moment than the one you would have experienced from a standard short story. One thing I love about the Cafelit series of books is there is a good mixture of story lengths in them. There’s a good range of my favourite flash fiction but it is nice to have these interspersed with standard length short stories and those that fall somewhere between the two. So whatever my reading mood is, there is something to cover it here! The link below covers the whole range of Cafelit books. I’m delighted to be in 4, 5 and 6 (and I reviewed 3 some time ago too!). So if you know someone who loves their short stories but likes a mixture of styles and story lengths, Cafelit books would be a great place to start. Now then: note to self – get some more flash fiction into Cafelit! One week to go to the Chandler’s Ford Book Fair from 10 to 12 at the Age Concern Centre in Brownhill Road. Good range of authors and genres represented. Should be good fun. 1. To send predictive text into oblivion and arrange things so people forgot it ever existed. (I’m counting that as one wish, my fairy godmother character may disagree, but I would sacrifice a wish cheerfully to get this through. Much as I love my smartphone it has confirmed my loathing of predictive text. Complete pain when writing, It rarely predicts anything I can actually use!). 2. To NEVER be interrupted by anything when reading. (Think my fairy godmother character might struggle with this one). 3. For paper jams and power cuts to be a thing of the past. They always happen at the most inconvenient times. 4. For all people to be able to read and write and to want to read. Reading can easily be dismissed as something people don’t have time for and I’m at a loss as to why. Same people would happily watch a 3-hour film. Maybe reading needs to be seen more as a form of entertainment than it currently is? 5. For genre fiction to no longer be looked down on (though there has been some progress here). Why shouldn’t a book JUST be for entertainment? Why does it have to be worthy as well? So what would your wishes (+ 2 bonus wishes) be? Thanks to Catherine Griffin for the excellent Book Fair poster. Also to Sally Howard and all in Chandler’s Ford Authors who are organising this event. Should be good! Well, what IS your story? Image via Pixabay. A flash fiction tale has to be complete in itself with a beginning, middle and end, but its great joy (for me at least) is the ability to imply so much more. My story, Serving Up a Treat, is a tale of domestic abuse where the character brings an end to it. (For how you’ll need to see the book!). What is implied in this story is the backstory. It is implied that what has been happening to the character has gone on for a very long time. The “snap” point should be expected so does the piece deliver on that expectation? Yes, it does. You do have to follow through! However, that doesn’t mean you have to spell out every last detail. In fact, with flash you can’t as there simply isn’t the room with the limited word count. I’ve found flash fiction to be a great way of improving my blog posts, longer short stories etc because it forces you to ask what is REALLY important. What MUST the reader know? What can I drop hints at and leave them to work things out from there? Writer at work! Flash fiction stories must be complete in themselves but they can imply so much. Image via Pixabay. Many thanks to all who’ve reviewed my book so far on Amazon and Goodreads. 3. For research (for a story or post I’m writing. Not quite the same thing as for education above. I define that as reading to learn but for its own sake and not necessarily to “use” elsewhere). 4. Because I always have read and reading is simply part of what I am and do. 5. The book is nearly always better than the film! 6. I like to read at bedtime to help me unwind and have a better night’s sleep. 7. To widen my tastes in books and stories, I have to be prepared to try genres new to me so I see this as a kind of exploration of what’s out there. I have no idea at this stage whether I’m going to like what I read or not so can’t say if I will be entertained! 8. I’m thrilled to be published myself and I do see it as necessary to support the industry I’ve entered. How can I best do that? By buying and reading books! (A kind of self-help here I think). 9. To enjoy what my friends are writing! 10. To explore literary culture. In the last two years, for example, I’ve read and seen more Shakespeare plays than I ever have done and part of this is to expand my knowledge here. (It’s a very enjoyable exploration too and I love National Theatre Live for making it easier to go to see productions). There is no right order for any of the above reasons for reading but they strike me as all being very good ones to do so! Many thanks to Jennifer C Wilson for hosting me on her excellent blog a little while ago. I share the link to my post here (Falling into Flash Fiction), but highly recommend exploring the rest of her site and her paranormal historical fiction works, Kindred Spirits: Tower of London, Kindred Spirits: Royal Mile, and The Last Plantagenet? Jennifer is published by Crooked Cat but her most recent book, The Last Plantagenet?, is her first self-published novella. A definite theme emerged tonight. Which do you find most difficult to write – the ending of a story or its beginning? I share some thoughts on both my Fairytales with Bite and This World and Others posts. Comments very welcome. And I would welcome questions coming in via the Goodreads Author Programme Q&A too. This week’s Chandler’s Ford Today post looks back at YA author, Richard Hardie, and his book signing at Eastleigh Library last weekend. This was part of Cub/Brownie Uniform Day and, overall, part of the Love Your Library Week. The post looks at what libraries can do (Richard’s report) and I share my thoughts on how writers and libraries need each other, as well as give a summary of the book signing event itself. If you missed Richard at Eastleigh, then he will be at the Chandler’s Ford Book Fair on Saturday 28th October from 10 am to 12 noon, along with many other regional writers, including me. We hope we can see some of you there. There will be a good range of books on offer from Richard’s YA fantasy books (Leap of Faith and Trouble with Swords) to my flash fiction (From Light to Dark and Back Again) to short story collections (Secret Lives and More Secret Lives of Chandler’s Ford) and many books and genres besides. Far too many to list here but that’s a very good thing! Richard, his dog, Oscar and my son, Daniel, were amongst my supporters at my signing earlier in the year. Image by Janet Williams, Chandler’s Ford Today’s lovely editor. Richard and I will be two of the authors at the local Book Fair soon. Image via fellow Chandler’s Ford Writer’s Hub member, Cahterine Griffin. One of the dilemmas I sometimes face when writing my flash fiction is knowing where to stop! Sometimes I bypass this dilemma by writing a short piece (usually 100 words) and then, separately, extending the story out to a standard 1500 to 2000 word count later on if I feel the idea is strong enough to take this. (I then use those stories for standard short story competition entries). I don’t do this too often as I’m usually well engrossed in the next story idea and I also think this solution is one best done sparingly anyway. You want generally to move on to the next idea, the next story etc. However, for a really strong idea, there is no reason why you can’t do this and have two stories based on a strong central premise. Waste not, want not! The other way around this dilemma, which I use more often, is to work out which ending would have the most impact on the reader and at what point. I then leave the story at that point. You can’t go wrong with that method, I’ve found, but this is where putting work aside for a while pays dividends. You can then look at the piece with fresh eyes and read it as a reader would. It is only by reading it like that you can work out what that best impact point is in the first place! The links below take you to my Weebly websites with these posts but I have set up a slideshow on both not reproduced here. One of the joys of writing flash fiction is it doesn’t limit your possibilities with a very strong story idea. I have written a short piece (usually one of my 100-word tales and then, separately, extended the story at a later date to the standard 1500 to 2000 words required by most writing competitions. So I have two stories around one strong central premise. I like this! One of my favourite stock images because it is so true. Image via Pixabay. My theme tonight has been the right story endings – right for your story that is, as all endings have to be appropriate for the tale and that can have so much variety. I can’t imagine Shakespeare’s Hamlet or Romeo and Juliet with happy endings (can you?! ), but the way these plays finish is appropriate for the characters and the situations they are in as the Bard of Avon wrote them. (He also went for maximum impact on his audience, which ties in with my post Finding the Right Story Ending on my Fairytales With Bite site tonight). So happy ever afters then? The classic ending for fairytales, usually but not always. Hans Christen Andersen proved with this with The Little Mermaid and The Little Match Girl in particular, which I guess I could describe as two of my favourite “weepies”. But, again, the endings are apt for the way he wrote the characters and the situations he put them in and I think this is what we should aim for with our own stories. Sometimes a happy ending will be appropriate, sometimes it won’t, sometimes the possibility of a happy ending to come beyond the life of the story is an apt way to finish, and sometimes a tragic solution is the only way to end the story. So you need to ask yourself what would be the most appropriate finish for your story? Does it tie in with what we know of your characters? Does it have the maximum impact on your reader? The most important thing about endings is they have to be definite and definitive. Something about the ending must bring to a satisfactory conclusion what you have revealed about what your characters – this is where the “ring of truth” to fiction comes in. Do you find writing the endings to stories more difficult than the start? Comments welcome! My Chandler’s Ford Today post this week is another one about book events. None for ages, then like buses, two on top of each other! Following on from Anne Wan’s book launch report last week comes Richard Hardie’s news about his book signing at Eastleigh Library last Saturday. This signing was part of Uniform Day (encouraging Cubs and Brownies to complete their book reading badge) and the overall Love Your Library week. It was good to see a packed library. The event was great fun. I talk about libraries and writers needing each other, Richard shares his thoughts on how the event went and what libraries really can do, and if you did miss Richard at last week’s event, he will be back with his books, Leap of Faith and Trouble With Swords, at the Chandler’s Ford Book Fair on 28th October from 10 am to 12 noon. More details in the post tomorrow. Meanwhile, for my part, there is plenty of writing and editing work to do so best press on then! (Though I may have a sneaky read of The Best of Cafelit 6 first. Love what I’ve read so far – well done all contributors!). The rather splendid rug at Eastleigh Library from which friend and fellow writer, Richard Hardie, talked about his Young Adult fantasy novels recently. Image by me. Richard’s table at Eastleigh Library recently. Image by me. Richard and I will be two of the authors taking part in the Book Fair coming up soon. Image by Catherine Griffin of the Chandler’s Ford Writers’ Hub. Flash fiction, I think, is the ultimate proof that less can be more when it comes to storytelling! I am convinced technology (particularly smartphones) helped the form to take off, which is a nice side benefit. Often when technology brings about changes, there are always fears it will be the death of something else. For example, the monks who wrote out all books by hand (and beautifully done too) didn’t exactly welcome Guttenberg and Caxton! But things do need to move on. I don’t miss having to use carbon paper when I needed more than one copy of a typewritten letter. I don’t miss literally cutting and pasting stories to get them in the right order for yet another re-typing later on. I want to see technology getting more people reading, albeit in different ways than previously. I like the way libraries have embraced e-books and I know in Hampshire the Library Service holds regular “Get to Know Your I-Pod” sessions. (You can even borrow one for the duration of the course though you do have to register for these). My Chandler’s Ford Today post tomorrow also talks more about what libraries can do as Richard Hardie and I report on his most recent book signing at Eastleigh Library. So however you read, enjoy! Ultimately, that is the most important thing. Traditional books will always have a place. My stories are in The Best of Cafelit 4, 5 and now 6 and also by Bridge House Publishing (Alternative Renditions). My first collection From Light to Dark and Back Again is published by Chapeltown Books. The Kindle. I read from it at bedtime and have a wide variety of non-fiction and fiction books on it. Image via Pixabay. The Goodreads Author Programme sent me a story prompt idea which was to write a horror story in two sentences. Okay, I’m a flash fiction writer so this is very much up my street! The link below is to my author dashboard slot. Please do send in questions via Goodreads, I love Q&As like this. I also like the idea of being sent a story prompt like this every so often, so thank you, Goodreads. Great writing exercise. And my two sentence horror story? It took three days to get the blood off the walls. It took another five to remove the last drops off the carpets. I could reduce that to one long sentence, but think it works better as two shorter ones. There is a rhythm to two shorter sentences you simply wouldn’t have if they were joined. The Goodreads Author Programme sent me a story prompt which was to write a horror story in two sentences. (I’ve shared this on my Allison Symes Author Page. I would welcome questions sent in via Goodreads too). The two-sentence structure is interesting. Just enough to get the story going and then you come to an abrupt halt! The story works fine as it is but I could extend it into a standard length short story, one of my 100-word tales, or anything in between. This is another advantage of flash, which I’ve used. You can write a flash piece, submit it, hopefully have it published and then take the same idea, expand on it, send it to somewhere that would take longer fiction and hopefully enjoy success with it again. You would have created two stories, effectively around a common theme/lines, but then gone in different directions with it. The longer version would have more description and maybe more characters than the short piece. (Flash works best with 1 or 2 characters in it and others referred to). Short stories catch a moment in time, flash fiction even more so.